Threads(Tweetstorms) is a series of related Tweets posted by one person. It's a way to present someone's longer thoughts about a subject. Threads on Twitter today can be very popular and informative. But the existing method of creating a thread can be tricky. It’s often tough to read or discover all the Tweets in a thread. Me and my design teammate @stammy, product partner @thecleanmachine started looking solutions since March 2017. After months of cross-team collaboration, Twitter threads are officially here [blog post]. It's simpler to thread Tweets together, and to find threads. It’s easier to express yourself on Twitter and stay informed. Available on iOS, Android, Desktop Web, Twitter Lite, TweetDeck. We've refreshed the composer to enable a plus button to create threads, so you can connect your thoughts and publish your threaded Tweets all at at once. 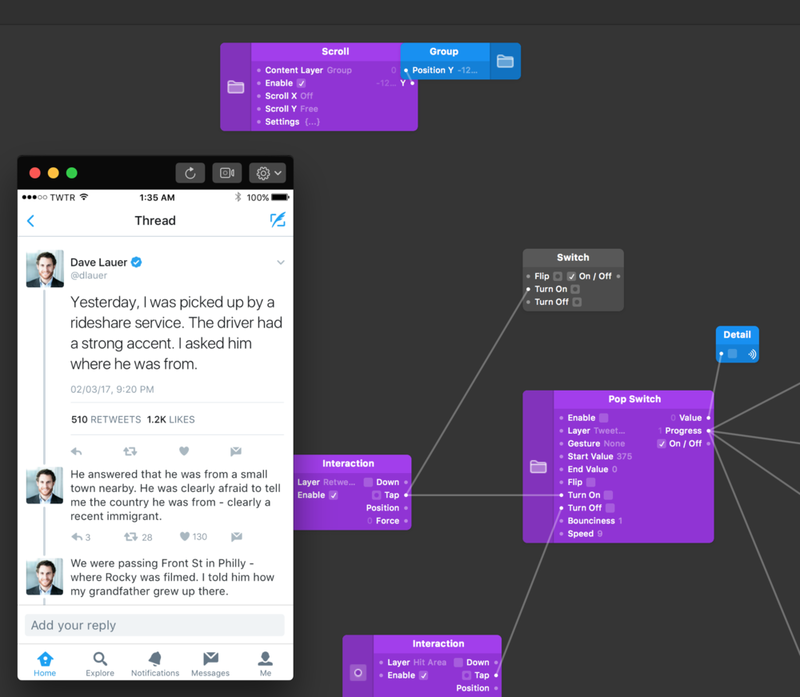 This allows seamless transition from a composing a single Tweet to composing multiple as a thread. 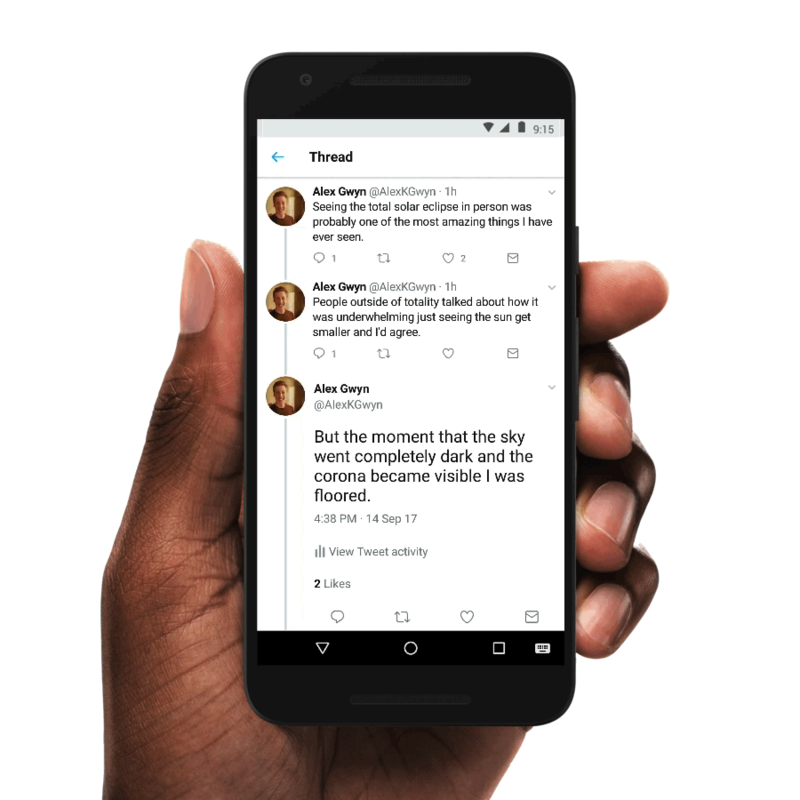 Threads are now recognized as first-class content on Twitter. When people Retweet, Quote Tweet threaded content, we've added "Show this thread" label to make them easier to identify. For many people, linking Tweets together as a thread was difficult and often considered power user knowledge. Now we've introduced a more prominent entry point for the author to continue a thread at any time. Kicked off the design work with daily design sprints and fast feedback cycle with leadership and the rest of the design team. Lots of explorations around formatting and product consistency. Led a series of workshops to bring all stakeholders on the same page and gather input from everyone. Aligned on existing pain points, generate new ideas and solutions. Created prototypes in various fidelity, from early-stage idea pitching, hypothesis validating, to final-stage usability testing.